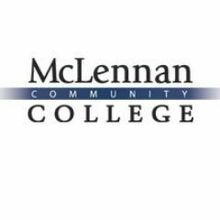 McLennan Community College (MCC) is a public community college in McLennan County, Texas. Located in Waco, Texas, it opened in 1965. MCC now serves about 9,000 students and has more than 700 employees. It is governed by a Board of Trustees elected from single-member districts in the county. The college opened in 1965. McLennan is one of three colleges in Waco along with Baylor University and Texas State Technical College. McLennan Community College is located on 200 acres (81 ha) on the north side of town near the Bosque River and Cameron Park. The College also owns Highlander Ranch, a 200-acre (81 ha) farm about 5 miles (8.0 km) from the main campus. The campus was recently expanded to include three new buildings, which were built with funding from a bond passed by voters in November 2006. The Michaelis Academic Center, New Science Building and Emergency Services Education Center are state-of-the-art buildings constructed to gain LEED certification. MCC’s campus also includes the Bosque River Stage, a 530-seat amphitheater located along the banks of the Bosque River. This outdoor venue was renovated in 2001 to expand the stage and update the lighting, sound and concessions area. The Bosque River Stage hosts a variety of nationally known musical acts at reasonable prices and the ever-popular River Sounds, a free summer concert series. MCC offers two-year associate degrees in arts and sciences for students who want to transfer to four-year schools. The school also has training programs—-two-year associate degrees in applied science and one-year certificates—-for students who want to enter the workforce. The school also offers a diverse choice of continuing education courses for all community members. In addition, the University Center at MCC is a partnership with several four-year state universities that offer degree programs on MCC’s campus. It offers students the opportunity to earn affordable bachelor’s, master’s and doctoral degrees without leaving Central Texas. Partner universities are Midwestern State University, Tarleton State University, University of Texas Medical Branch, The University of Texas at Brownsville, and Texas Tech University. Through the McLennan Distinguished Lecture Series MCC brings nationally known figures to Waco to give free lectures to the community. Started in 2004, the program has attracted such notable speakers as author Tamim Ansary, Nobel prize-winner James Watson, Bill Nye “The Science Guy,” former U.S. Secretary of Labor Robert Reich, John Maxwell, Ben Carson, and current Associate Justice of the Supreme Court of the United States Clarence Thomas. ^ Texas Education Code, Section 130.187, "McLennan Community College District Service Area".